A few new October cozies from Obsidian and Berkley....just in time for the cooler weather. The titles read like a cozy poem. I was pleasantly surprised by this award winning novel by the young Japanese writer Fuminori Nakamura. He won Japan's largest prize, the 2009 Oe Prize, for this book and I can see why. Not nearly as noir as I was expecting, the book shows the flaws and the humanity of this young man, a Tokyo pickpocket so skilled that he can unbutton a man's coat, take a wallet from the inside pocket, and rebutton the coat without being noticed or caught. Working in tandem with two others, he can even remove the cash and return the wallet to the unsuspecting victim's pocket in the flash of an eye. The Thief targets only wealthy, well dressed Tokyo businessmen, as they walk along the street or ride on the subway. This is until he gets involved in more serious pickpocketing for gang members who have a political agenda. The noir ending I was expecting didn't happen, and there is hope for the Thief who risks his life to protect a young boy, a budding pickpocket, and put him on a path different from his own. This was an easy read, only 211 pages. The dialogue and plot lines are both excellent. Nakamura's first book, The Gun, has also won an award. Visit Saturday Review of Books for a weekly collection of book reviews. I've been stressed out lately by several factors and reading serious thrillers hasn't helped calm me down. Luckily, The Merde Factor came in the mail, and loving and hating all things French, I took the book to bed. It's making me laugh, especially when the French in the novel start hurling one-word insults at each other through the open windows of their apartment building. I'm going back to bed with this one. Book description: The hilarious new novel from the bestselling author of 1000 Years of Annoying the French. Englishman Paul West is living the Parisian dream, and doing his best not to annoy the French. But things have been going very wrong: His apartment is so small that he has to cut his baguettes in two to fit them in the kitchen. His research into authentic French cuisine is about to cause a national strike. And Paul's gorgeous ex-girlfriend seems to be stalking him. Threatened with eviction, unemployment and bankruptcy, Paul realises that his personal merde factor is about to hit the fan. Congratulations to Beverly S., who was chosen by a random number generator as the winner of:The Twelve Rooms of the Nile. Another giveaway courtesy of the publisher is open until Sept. 28 for The Shoemaker's Wife. Yesterday, I returned a book to the library and came away with four books I didn't intend to borrow. 1. The Dead Do Not Improve by Jay Caspian Kang is about twentysomethings being bored and self pitying as they go between real life and the Internet. I like this one so far. 2. Buddhaland Brooklyn by Richard C. Morais is about an elderly priest who moves from a serene village in Japan to bustling Brooklyn, New York. 3. The Incense Game: A Novel of Feudal Japan by Laura Joh Rowland is the latest in the Sano Ichiro mystery series set in early 18th century Japan. 4. The Thief by Fuminori Nakamura is an award winning novel that follows the events in the life of a Tokyo pickpocket. Sometimes it's a nice feeling to choose books from the library, as opposed to picking up the ones already on my shelves. I have a mystery novel for reading upstairs, bedtime reading, and for when I wake up too early in the morning. And there is another book downstairs that I'd rather not take up and down the stairs. 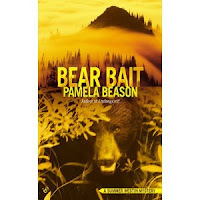 Bear Bait: a Summer Westin Mystery by Pamela Beason, to be released October 2, 2012. A lover of the great outdoors, albeit from an armchair, I enjoyed the first book in the series, Endangered, and am liking this one with Summer Westin as a biologist, volunteer, and amateur sleuth in the National Park Forest in Olympic National Park, the Pacific Northwest. My downstairs book is quite different. The Devil Soldier: The Story of Frederick Townsend Ward, the Most Honored and Controversial American in Chinese History is a biography of an American soldier of fortune from Salem, Mass. who fought in China in the mid 19th century, on the side of the Chinese emperor and against the Taiping rebels. 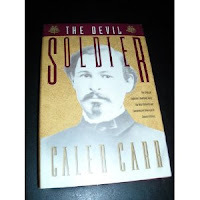 The book describes The Devil Soldier as a "compelling adventure story and an important piece of Chinese and American history." It was first published January 8, 1992 by Random House. Which book will I'll finish first? Quick–what are you reading right now? Would you recommend it? What’s it about? Leave your link at Booking Through Thursday. 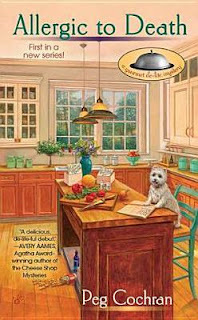 Allergic to Death: A Gourmet De-Lite Mystery by Peg Cochran is the first in a new cozy series published August 7, 2012. As I'm allergic to a lot of foods, meds and even animals, except for non-shedding dogs like that Westie on the book cover, I put the book near the top of my TBR pile! What are you reading this Thursday? Teaser Tuesdays is hosted by MizB; choose sentences at random from your current read. Identify author and title for readers. 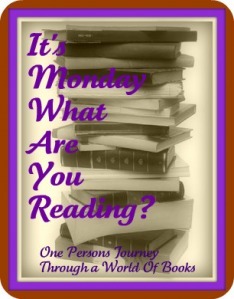 It's Monday: What Are You Reading This Week? It’s Monday! What Are You Reading This Week? This is a weekly event to list the books completed last week, the books currently being read, and the books to be finished this week. It is hosted by Book Journey. 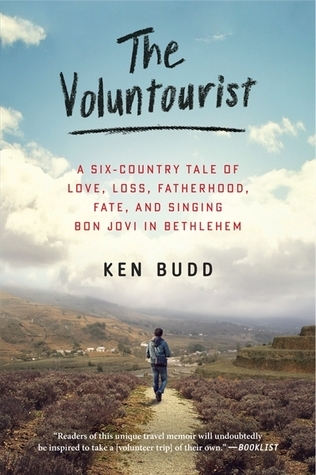 The Voluntourist: A Six-Country Tale of Love, Loss, Fatherhood, Fate, and Singing Bon Jovi in Bethlehem by Ken Budd. A travel memoir of the author's volunteer trips to New Orleans, Costa Rica, China, Ecuador, Palestine, and Kenya. I don't know how popular volunteer vacations are but they seem to be a growing trend. 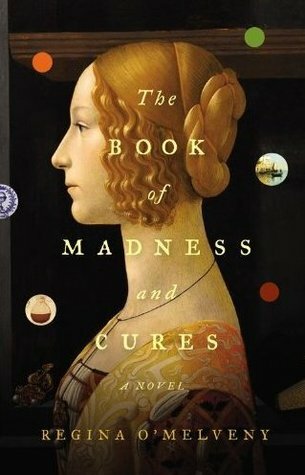 The Book of Madness and Cures: A Novel by Regina O'Melveny is set in the Venice of 1590. Gabriella Mondini helps her physician father with his work, The Book of Diseases, and must fend for herself when he disappears. She searches for him in Europe all the way to Morocco and discovers family secrets while developing her skills in healing. Two different books, but they are taking me to different countries and back in history too. What are you reading this week? 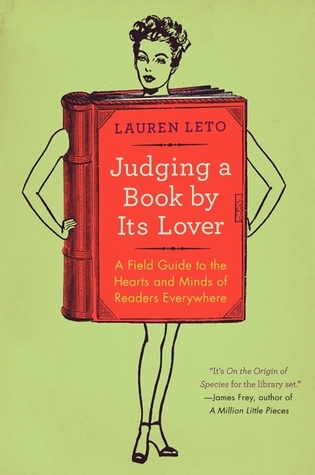 Can't wait to read a book entitled Judging a Book By Its Lover: A Field Guide to the Hearts and Minds of Readers Everywhere as I want to see what the author, Lauren Leto, says about how books grab attention. I am curious to compare it to my own experiences as a reader. The book is a paperback to be released October 2, 2012 by Harper Perennial. 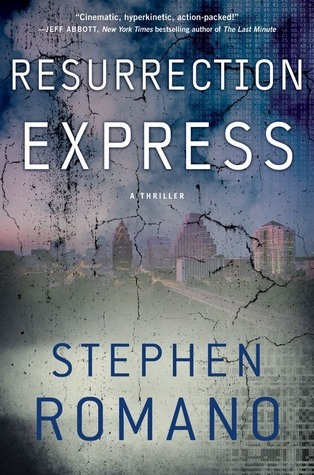 Resurrection Express: A Thriller by Stephen Romano involves a a high tech thief challenged with hacking into a complex security grid, unaware the stakes could mean the death of billions of people if the wrong people win. The expected publication date is September 18, 2012 by Gallery Books. These two books were sent by the publishers. Lots of new cozies with a food theme this summer. These three feature a food critic, a soup shop owner, and a cookie shop owner as the main characters/amateur sleuths in these cozies. Death in Four Courses by Lucy Burdette is a Key West Food Critic Mystery Novel which includes five recipes and published September 4, 2012. A restaurant critic is found dead in a dipping pool at the Key West Loves Literature Seminar. Food critic Haley Snow, another attendee, plays amateur sleuth to make sure she is not the next victim. A Spoonful of Murder is the first in A Soup Lover's Mystery by Connie Archer, published August 7, 2012. When a blond tourist is found frozen to death behind Lucky Jamieson's soup shop in Vermont, her soup chef is arrested by police. Lucky becomes a sleuth to save her shop and her chef. Recipes are included. 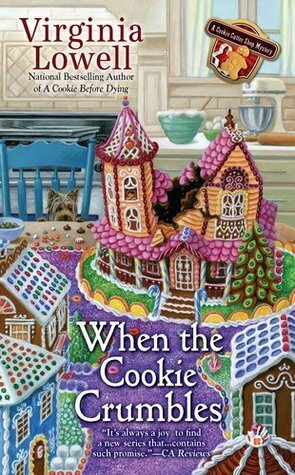 When the Cookie Crumbles by Virginia Lowell was published August 7, 2012, and is a Cookie Cutter Shop Mystery. The owner of a cookie shop, Olivia Grayson, investigates the history of the Chatterly Mansion and the sudden death of its heir, Payne. Opening sentences:"The market has its own intelligence. It has a sort of malignant omniscience that dictates that the market will do whatever fucks over the most people at any given moment in time. It knows your positions, and it knows your fears. You are a sinner in the hands of an angry God, and your positions are going to pay." 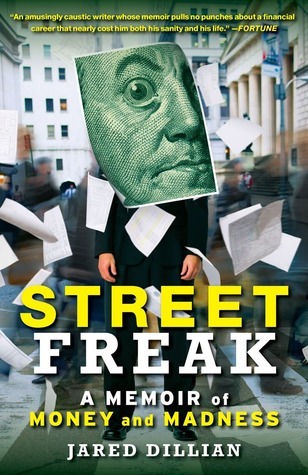 I am looking up words and acronyms while reading this memoir by Jared Dillian on his life as a trader for Lehman Brothers on Wall Street during the financial crisis starting 2001 through 2007. I have to find the true meaning of "hedge fund," "EFT trader," "volatility," "leverage," "asset classes," "binomial tree," "SPY," "predatory trading techniques," "program trader," and so on. "More than $1 trillion in wealth passed through his hands, yet the extreme highs and lows of the trading floor masked and exacerbated the symptoms of Dillian's undiagnosed bipolar and obsessive-compulsive disorders, leading to a downward spiral that nearly ended his life." The paperback of Street Freak was published by Touchstone. A review copy was sent to me by the publisher. I rarely read eBooks except for a select few, but am glad I found Betty Webb's Desert Wives on Kindle, one of her Lena Jones mystery books set in Arizona. The novel is about a polygamy sect that defies federal and state laws along the Arizona-Utah border by condoning child brides, underage pregnancies, and forced confinement of women and children. Evidently, this is not an uncommon situation in this area of the country, even today, some 9 years after the book was first published in hardcover. In this mystery novel, a woman escapes with her young child from the compound when the elderly leader of the sect singles the child out to be his next wife. When his body is found in the desert with a fatal shotgun wound, the mother becomes a suspect. Lena, a P.I., goes undercover as the new wife of one of the members in order to find the true murderer. Can't wait to find out the who and the why... Desert Wives by Betty Webb is free on Kindle at the moment. This edition was published June 17, 2011. I often read several books at a time, unfortunately. I do have to keep the plot lines separate. How to Eat a Cupcake is a different book from the others I'm reading. It's a contemporary YA novel about the relationship between two young women, Annie and Julia, who grew up together though their backgrounds are vastly different. Annie is the privileged child in a household in which Julia's mother lives and works as a cook, one of the hired help. The two children are raised and schooled together, but conflicts and jealousies mar their relationship. They meet again later as adults and try to renew their friendship. Don't know where this one is going, as I'm only on chapter 3 of the book, which is told from both Annie's and Julia's points of view. It looks like a promising read and is keeping my attention. 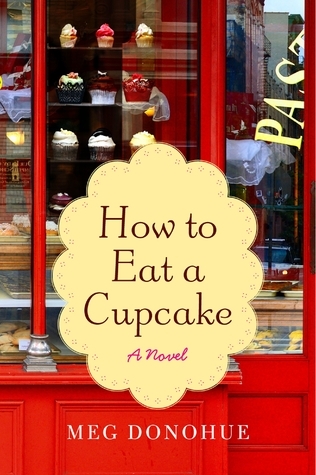 How to Eat a Cupcake by Meg Donohue is a paperback published March 13, 2012 by William Morrow. The ARC was sent to me by the publisher. I can't believe I haven't seen any of Katherine Hall Paige's mystery books before. The Body in the Boudoir is the twentieth in the Faith Fairchild award-winning series, which began with The Body in the Belfry, a book that received an Agatha Award for best first mystery. The Body in the Boudoir was published in May 2012 but is set in 1990 when amateur sleuth Faith Fairchild is still a New Yorker, before she married and went to live in a small village in Massachusetts, the setting of the first book. I think all the Faith Fairchild mysteries can be read separately from the others, so I'm starting with this latest one. About the book: In spite of being overwhelmed by her decision to leave her home in the Big Apple and the multitude of tasks involved in "getting" married, Faith has no doubts about being married to her beloved Tom. But someone out there is dead set on making sure that she doesn't reach the altar. Before it's too late, she needs to figure out who is trying to sabotage the wedding--by eliminating the bride. (publisher's description). The Body in the Boudoir: A Faith Fairchild Mystery by Katherine Hall Page is a hardcover publication of William Morrow, released May 1, 2012. I received a review copy from the publisher. Just finished reading Gold and appreciated the author's intent to show what could drive Olympic athletes to win, both their healthy and unhealthy reasons. Zoe has unhealthy reasons to win at all costs. Kate has more compassion for other people and her drive comes from her love of the sport. Jack's involvement in cycling for gold came from a push by his father when he was a young man. The novel takes you from their young selves - Zoe and Kate as nineteen-year-old rivals in the sport and as rivals over Jack - to their developing friendship and final time to fight for Olympic gold at age thirty-two. I was disappointed in the twist in the plot half way into the book. I felt it was too contrived - it tied these three cyclists into a tighter knot than I was comfortable with. But it did make it easy for the book to achieve a neat ending. Laura Pedersen has written for The New York Times and is the author of several books. In 1994 President Clinton honored her as one of Ten Outstanding Young Americans. She writes for several well-known comedians and lives in New York City. GIVEAWAY: The publisher is offering a newly released paperback of The Shoemaker's Wife: A Novel to a U.S. reader in a giveaway, now through Sept. 28. To enter, leave a comment with an email address so we can reach you. The winner will be chosen by random number and will have 48 hours to respond to an email notification. No P.O. addresses, please. Visit my Review of The Shoemaker's Wife. UPDATE: Deb Nance was chosen the winner by a random number generator. Thanks to everyone for entering the contest. GIVEAWAY: The publisher is offering a copy of The Twelve Rooms of the Nile to a U.S. reader in a giveaway, now through Sept. 22. To enter, leave a comment with an email address so we can reach you. The winner will be chosen by random number and will have 48 hours to respond to an email notification. No P.O. addresses, please. UPDATE: The winner chosen by random number generator was Beverly S. Congrats! 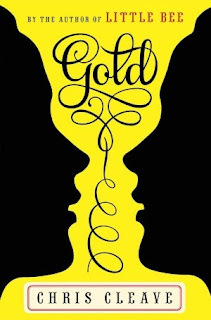 I'm reading Gold, a novel about Kate and Zoe, two friends in England who are also rival Olympic speed cyclists. Zoe is single and Kate is married with a sick child, Sophie, which limits the time Kate can spend on track cycling. So far, Sophie seems to be just as important a part of the story as the two women.
" Look, Zoe. You've done all the hard work. You've made it to the final. Your worst-case scenario here is to be the second-fastest rider on the entire planet. The very worst thing that could happen in the next ten minutes is that you win an Olympic silver medal." "You're scared of getting silver?" About the author: Chris Cleave studied at Balliol College, Oxford. His debut novel, Incendiary, won a 2006 Somerset Maugham Award and is now a feature film. His second novel, Little Bee, is an international bestseller. Cleave lives in London with his family. She looked up from a magazine as we approached. "Is that a working or therapy dog?" she said. "That's the only kind management allows in here." "How come he's not wearing his ID vest, you know, that says therapy or working right on it?" About the book: Canine narrator Chet the Dog and his human partner P.I. Bernie Little are the duo that make up the Little Detective Agency. In this book Bernie and his dog are hired to keep handsome but badly behaved movie star, Thad Perry, out of trouble while he films a Western in the Valley. They find this job more complicated than it should be. There is a mystery surrounding Thad's background, and the people with the answers start turning up dead. Comments: I loved the previous book, The Dog Who Knew Too Much, and decided I was a Chet and Bernie fan. A Fistful of Collars is outstandingly clever and entertaining in its telling, and the plot almost as good. A good read for mystery and dog lovers, and cat lovers too, even though Chet does some sparring with a cat named Brando. About: A British-born woman, daughter of an immigrant mother from Montserrat, the West Indies, lives with the idea that she caused her mother's death years ago, and begins to discover the more complex truth when the two men in her mother's life resurface after a 14-year absence. Comments: The coats referred to in the title play an important part in the story of Jinx's relationship with her mother. The story unravels slowly, with numerous flashbacks to the time when Jinx was a teenager, when her mother was alive and visited by the two men - her mother's volatile abusive lover Berris and a family friend, Lemon. The mother-daughter relationship as perceived by Jinx is the crux of this story. Well written and with an easy pace, I enjoyed this novel as a welcome addition to emerging British immigrant fiction and Caribbean fiction. 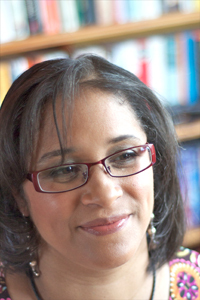 Yvvette Edwards has lived in London all her life. She currently resides in the East End and is married with three children. 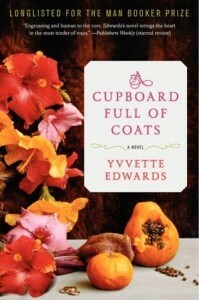 A Cupboard Full of Coats, her first novel, was longlisted for the Man Booker Prize. 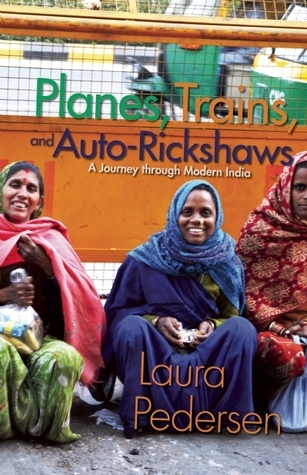 It is also shortlisted for the Commonwealth Prize and was named a Kirkus Best Book of the Year. Thanks to TLC Book Tours and the publisher for a review copy of this book. For more reviews of A Cupboard Full of Coats, visit the book's tour schedule. (Submitted for Immigrant Stories 2012 Challenge). I've given away ten books recently by leaving them in public places for other readers to find, read, and hopefully pass on. This I did through Book Crossings, which has labels you can download and paste onto your books. Anyone can register the ID number of their found book on Book Crossings. This will show that someone has the book you "released into the wild." So far, no one has registered any of my books but I know that most of them have been taken. I checked! I have also passed on a few books I'd normally keep - to friends who I know will appreciate having them and who happened to be visiting for a few days. No postage involved. That helps! Gold by Chris Cleave has been taken by a cycling enthusiast. Lost Memory of Skin by Russell Banks - the ARC of this book that I loved, loved, loved, for its social consciousness, has also been given to another reader. 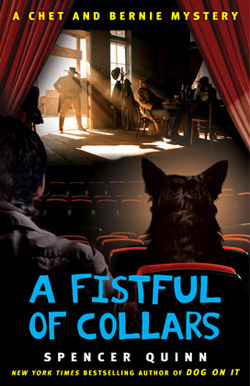 A Fistful of Collars by Spencer Quinn, an ARC, has been taken by a dog lover and dog owner. Shadow Show: All New Stories in celebration of Ray Bradbury, is a maybe from someone who perked up at Ray Bradbury's name, though these stories are not by the sci fi writer but by 26 other writers. My reading list is still long. Same situation for lots of book bloggers, I imagine. Have you given away or loaned any books lately?